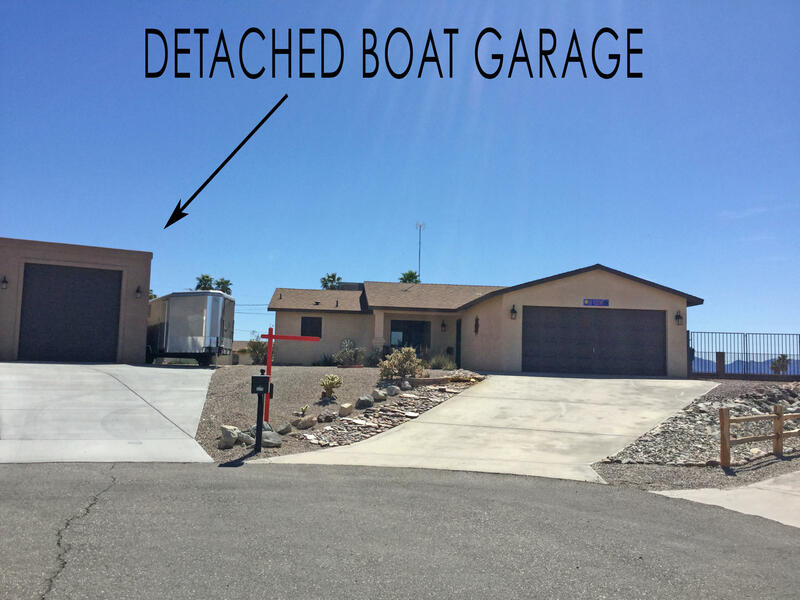 Amazing Lake Views on large lot! Beautifully Furnished Remodeled 2 bed 2 bath home with 2 car garage plus a detached 18' x 36' garage with 12' high door. Updated interior doors, baseboards, paint, carpet, and tile. New fixtures and lighting, countertops and newer appliances. Exterior house trim painted last year. Side parking with hookups. 1293 sf home with split floor plan and nicely updated. Gorgeous panoramic lake, mountain, and island views! Backs to a wash for privacy. Located on a cul-de-sac this home is move in ready! Directions: Kiowa S. to Maverick Dr to Maverick Place, right at end of cul-de-sac.